The New Brunswick Innovation Foundation has announced the seven finalists in the 2017 Breakthru competition – seven from New Brunswick and two in the national category. 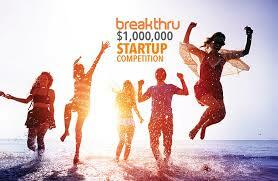 NBIF holds its Breakthru competition every second year to find the hottest new startups in the province. It will announce the winners – who will divide a cash pot of about $1 million – at the Breakthru gala in Fredericton on March 23. Tickets for the dinner are available here. The five nominees in the Provincial category are EhEye, Pfera, Quber, SomaDetect and WEnTech. Descriptions of the companies are below. For the first time this year, NBIF is offering prize money to companies from other provinces, who agree to base their companies in New Brunswick. The finalists for the $301,000 National prize are Newpy, which has entered from P.E.I., and the Unity Project, from Nova Scotia. EhEye specializes in extracting behavioral insights with artificially intelligent video analytics. Specifically, they are experts in automated object and activity detection within streaming video. EhEye has created a highly scalable and extensible platform for the development and operation of intelligent video analytics modules and alert systems, applicable to almost any industry that relies on video surveillance for safety, loss prevention, security and human behavioral insights. Read our report on EhEye. Pfera provides horse owners with a birth prediction tool to use on pregnant mares. The system they have developed estimates when the pregnant horse will give birth to the foal based on the mare’s milk chemistry. Pfera’s device can be used on any number of milk samples, and on any number of mares. Once the test is done a birth prediction is displayed on the attendant’s smartphone. The target customers for Pfera’s technology are horse breeders, foaling attendants, and veterinarians/veterinarian technician. Read our report on Pfera. Quber enhances existing data analytics and digital capabilities for financial institutions to better understand clients’ needs and help consumers. Quber is a state-of-the-art financial engagement platform designed to work with existing digital toolsets. Consumers are looking for better digital tools to manage money, and Quber can offer the solution with their mobile or web-based designed solution. SomaDetect is an agricultural technology company that has developed an in-line system for frequent monitoring and reporting of dairy-quality indicators to farmers and other stakeholders. The company was founded with the mission of helping dairy farmers produce the highest quality milk possible. SomaDetect’s patented technology uses light scattering to assess fat content and somatic cells (key indicators of the presence of mastitis) in milk. By measuring key dairy-quality variables from every cow at every milking, SomaDetect is helping dairy farmers to close the information gap and reduce the spread of disease while maximizing proﬁts. Read our report on SomaDetect. WEnTech Solutions Inc. is a Software-as-a-Service company specializing in the waste-to-energy sector. The company is built on the expertise of its co-founders in waste-to-energy projects and developing software products. WEnTech is computerizing the task of waste-to-energy project assessment with a software-based product called WEnTech Smart Analysis System, W-SAS. This tool is designed to automate the workflow of engineering consultants assessing waste-to-energy projects by allowing them to evaluate multiple conversion technology systems at once, based on a multitude of parameters. Newpy is a social network app for posting photos of products that are hidden inside digital packaging. The digital packaging designs grab attention and spark curiosity as to what is inside. Newpy offers two types of digital packaging: variety, which are ever-changing unique designs to reflect user’s interests, and custom, which are specifically tailored to reflect a company’s brand. Custom Digital Packaging either showcases the company’s name or logo in plain sight directly on the packaging. Companies will now have a choice; they can choose to hope good photos of their products are taken, or they can guarantee with Newpy that every photo posted will grow their brand. The Unity Project allows businesses to create consumer loyalty by donating funds directly to the charities of their consumer’s choice. It allows consumers to support the causes closest to their hearts through their buying decisions without having to spend more. The Unity Project is a new way for charities to raise money, allowing organizations to get more from their networks without their donors paying more. Unity is a robust loyalty and marketing platform for businesses, layered into a social movement for charities leveraging existing social media platforms It creates a mutually beneficial relationship between businesses, charities and Unity members.